Glamour Secrets franchise business opportunity. 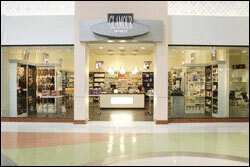 Free Glamour Secrets business franchise information. Glamour Secrets offers the franchisee an opportunity to take advantage of their 15 plus years as a leader in the retail beauty product industry and create a large and profitable business of their own. As a Glamour Secrets franchisee, you will retail over 5000 of the hottest professional salon quality products in an award winning designed retail environment. The products are the most well known brand names in the beauty product world and are backed by millions in advertising. Glamour Secrets buys direct from the manufacturer products from companies like Redken, Rusk, Bedhead, OPI, Abba, Matrix, Goldwell, KMS and hundreds more. Complimenting this awesome variety of products is the small salon located in the back of the store and used to create traffic for the store. To learn more about the Glamour Secrets retail store franchise opportunity, simply complete the form below.